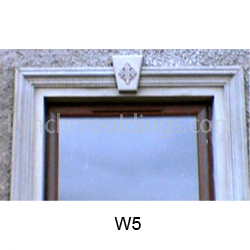 We have 7 different sizes and designs in our range of window Architraves, ranging from 85mm wide to 162mm wide. 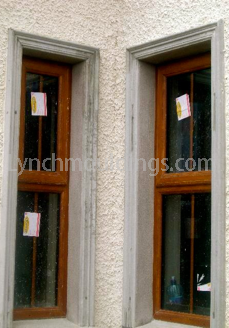 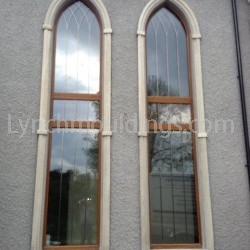 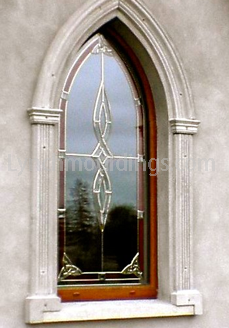 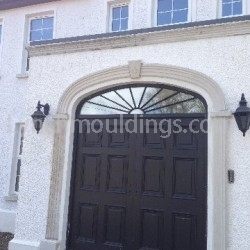 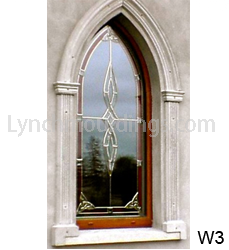 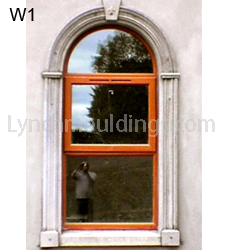 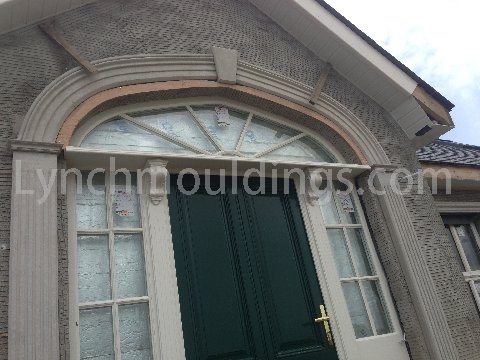 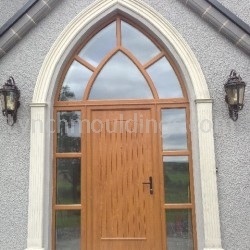 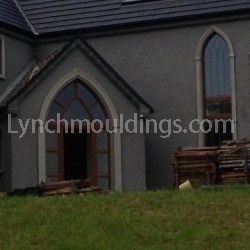 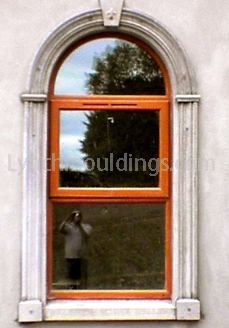 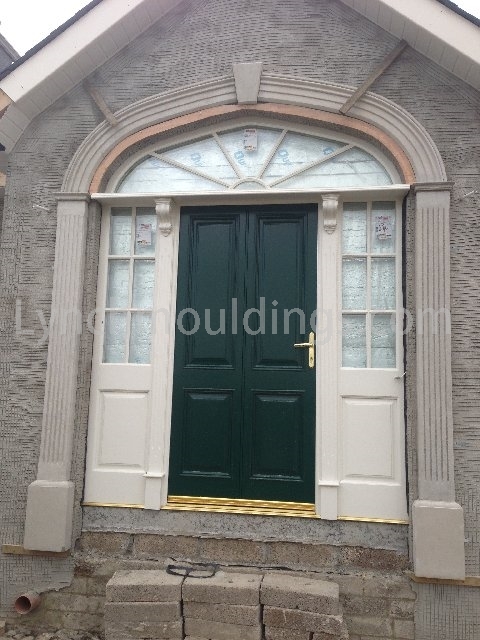 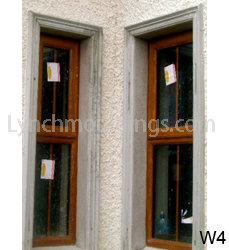 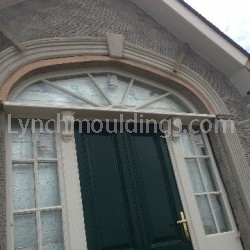 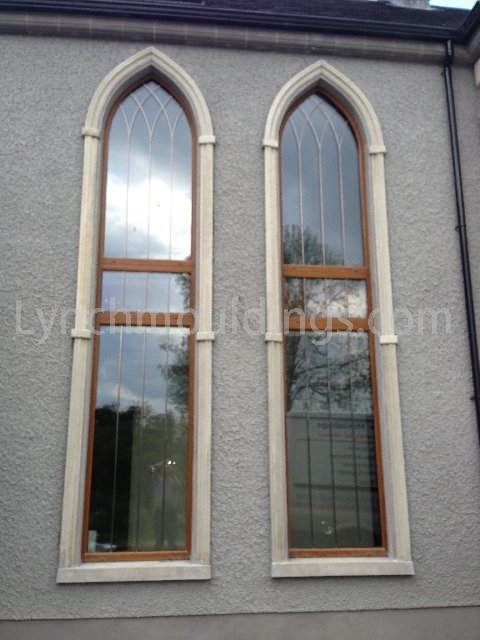 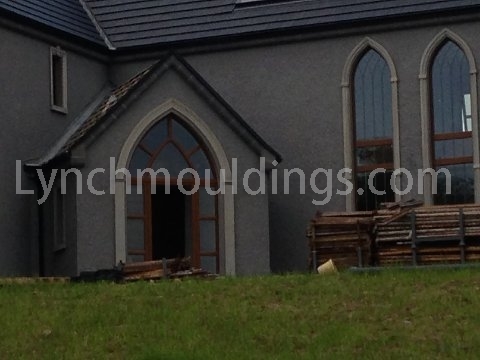 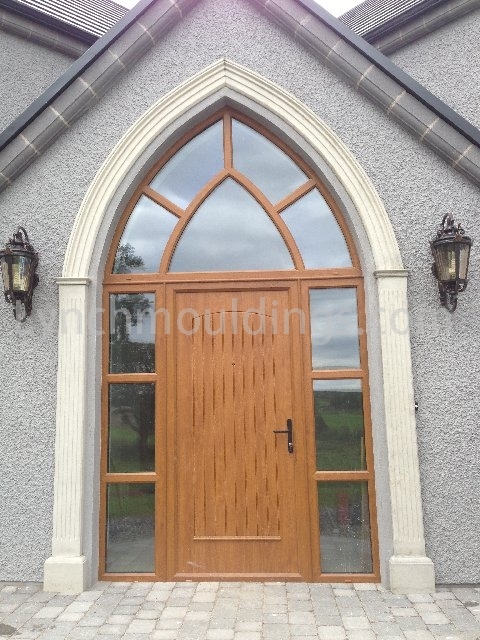 As illustrated in the pictures above we can match any shape of window be they arched, gothic or rounded face. 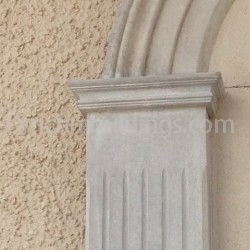 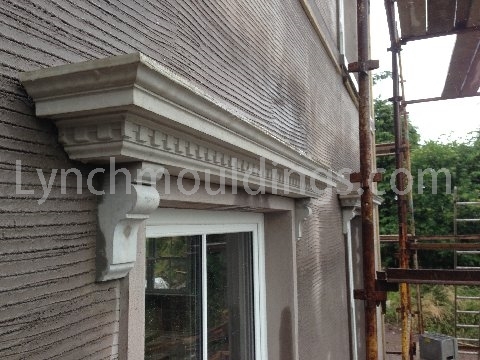 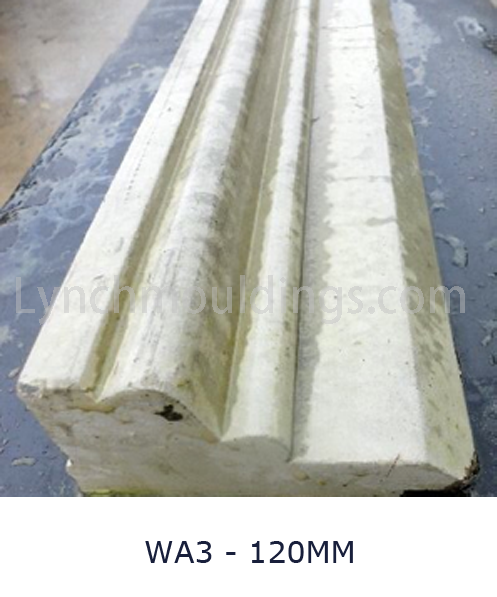 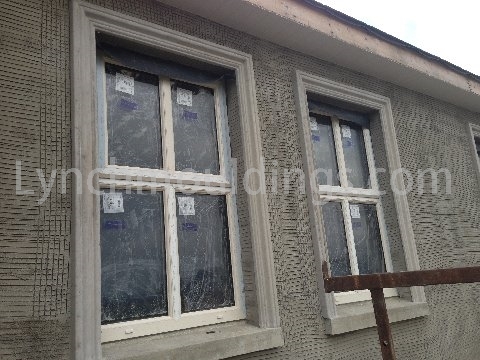 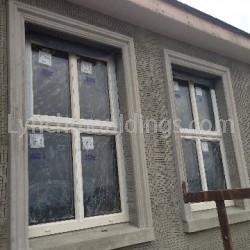 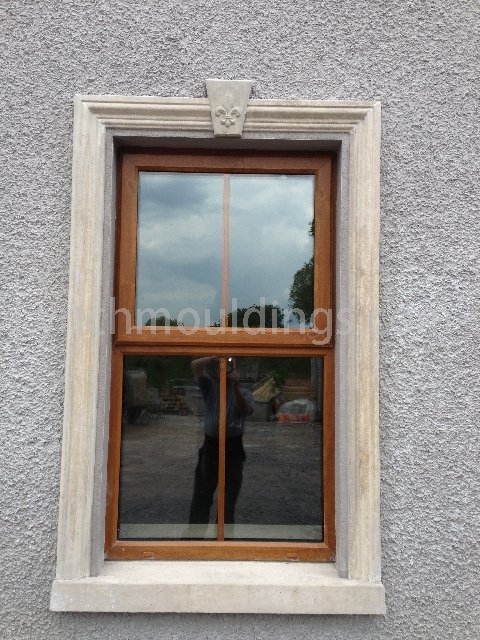 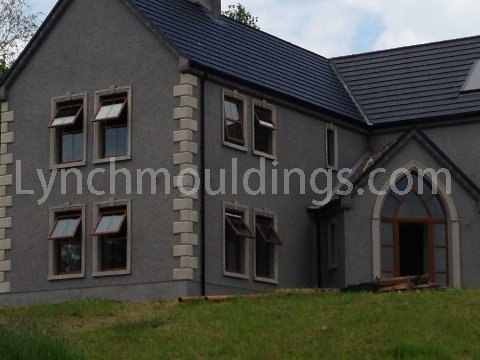 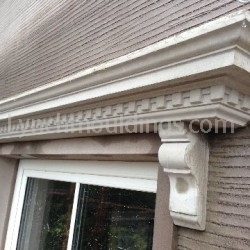 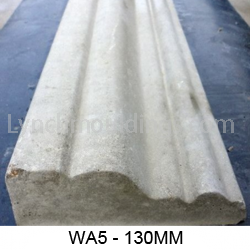 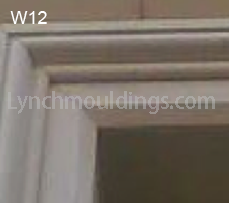 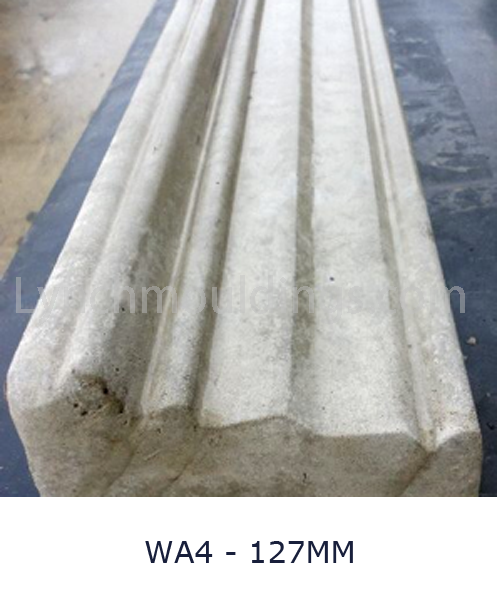 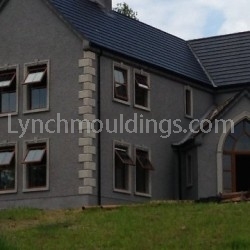 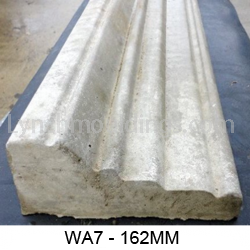 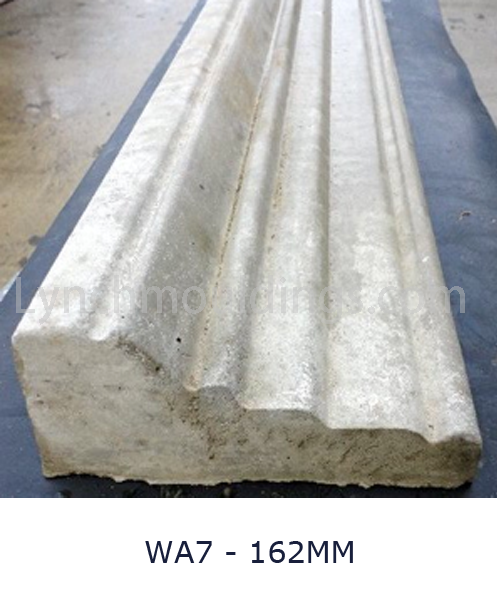 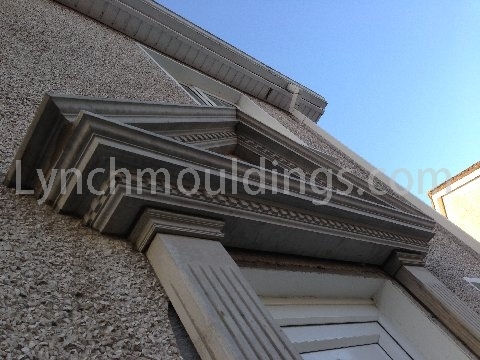 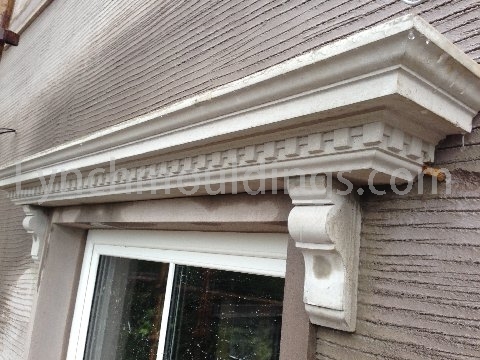 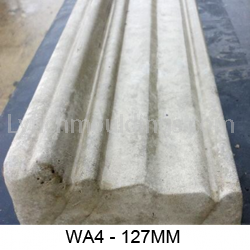 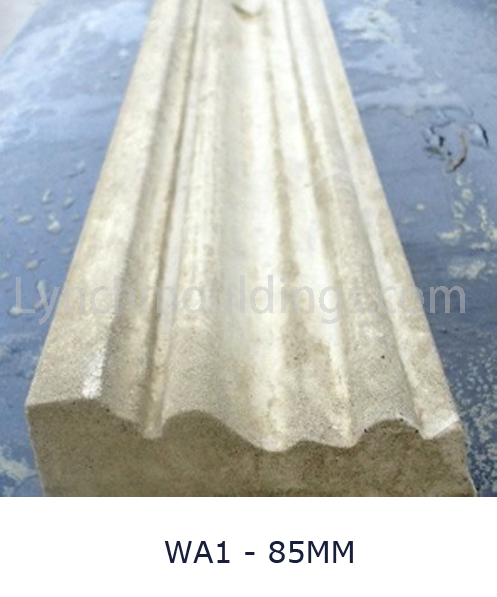 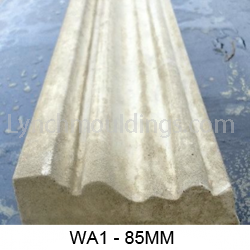 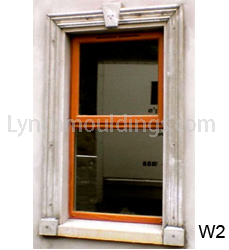 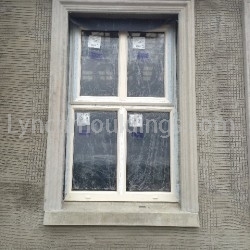 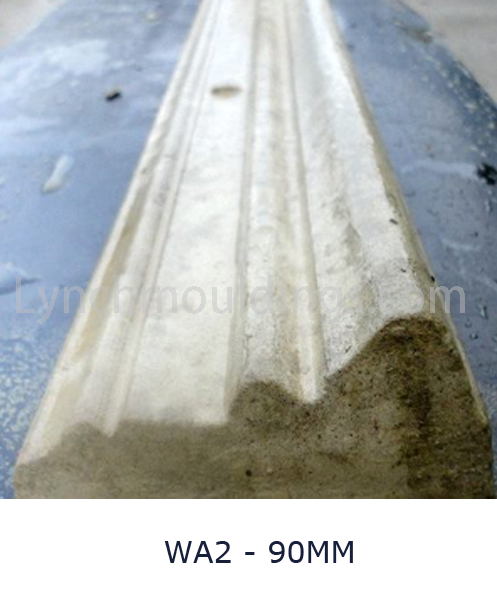 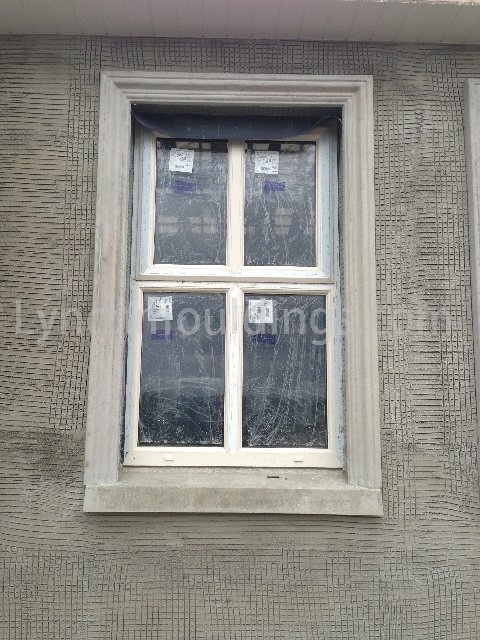 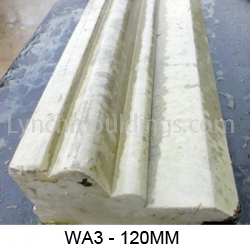 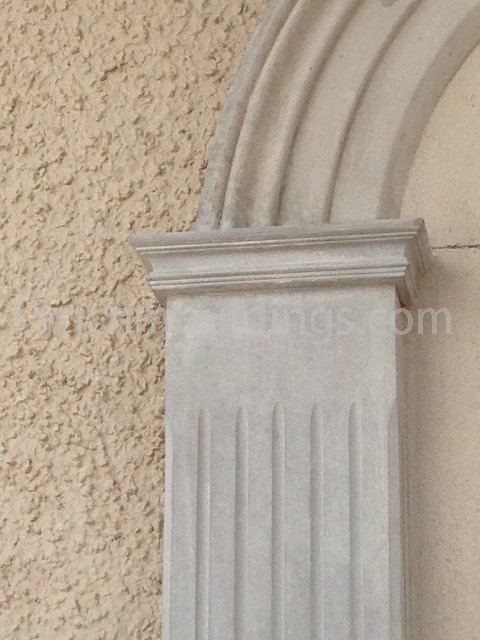 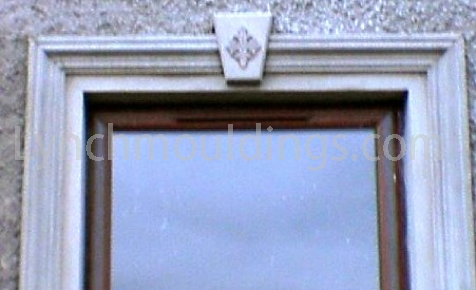 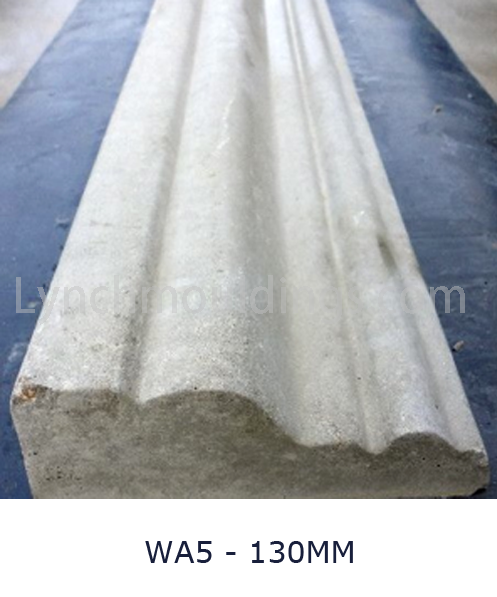 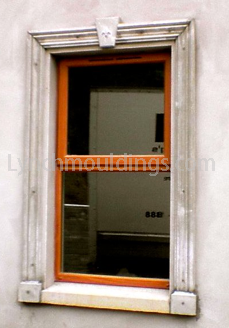 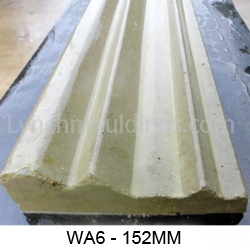 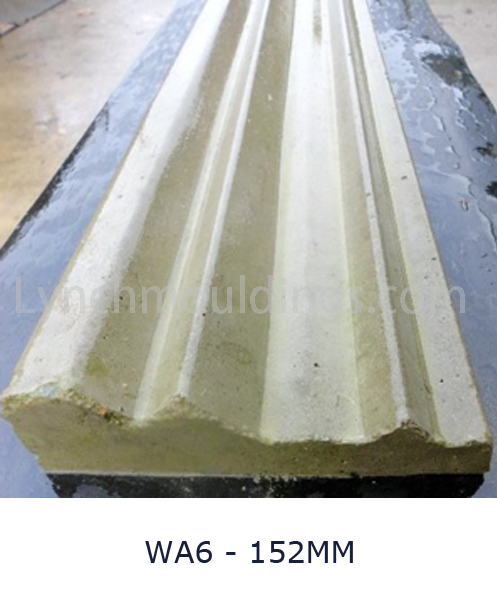 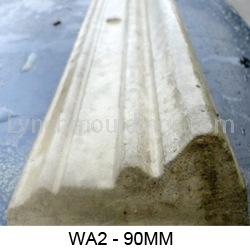 All window Architraves are made in natural cement finish and are fixed using adhesive and proper fixings. 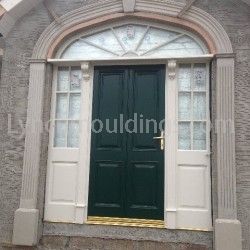 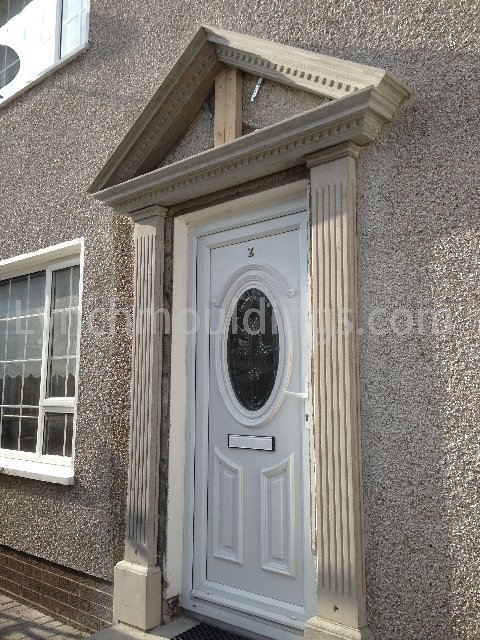 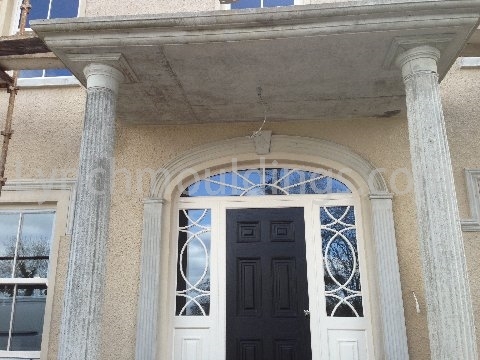 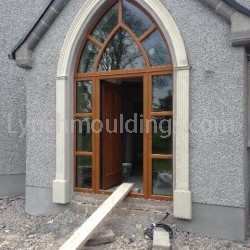 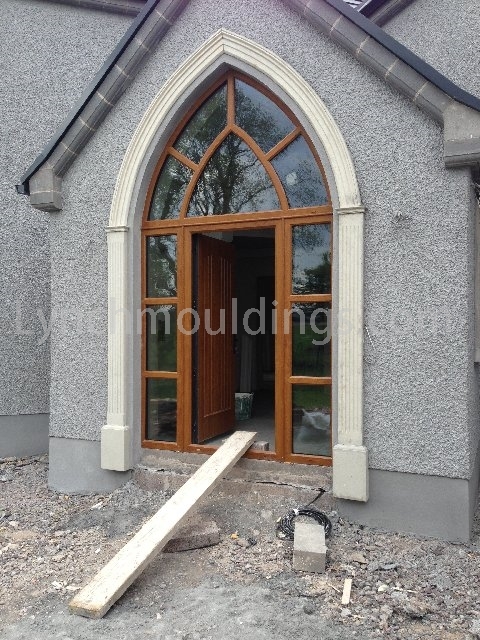 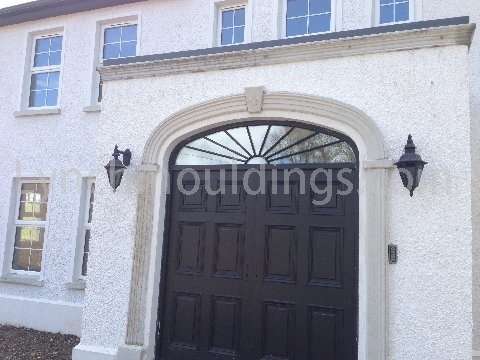 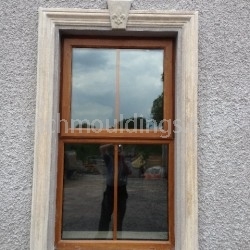 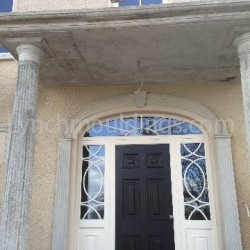 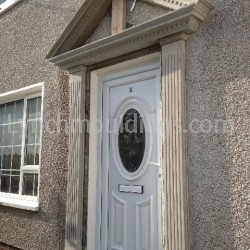 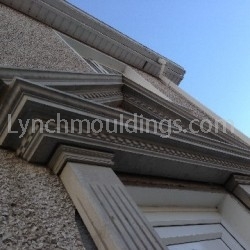 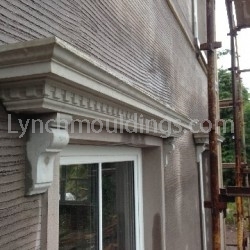 The inclusion of Architraves adds character to any window and with the added keystone in the top middle it will leave the exterior of your home looking great.